Online casinos vs traditional casinos: Which is the better way to play? Online casinos or traditional casinos? Is it better to play online or in a traditional casino? Go back a few decades and if you wanted to gamble, you had no choice but to head to your nearest land-based casino. Nowadays, thanks to advances in technology, you can gamble right from the comfort of your own home. Plus, thanks to mobile gambling, you can even gamble while on the go. Players these days really are spoiled for choice. Some stick to online gambling, some prefer traditional casinos and others regularly practise both. But which one is better? Let’s take a look at online casinos vs traditional casinos. One of the reasons why online gambling has become so popular is because it’s so convenient. You don’t have to travel to your nearest traditional casino to gamble; instead, you can gamble all you want right from the comfort of your own home. At traditional casinos, you have access to a limited number of games, whereas online, there are hundreds of casinos you can visit and countless games to play. The choice is so big, you might not know where to begin! Many online casinos offer free play for some or even all of their games. Free play gives players a chance to practise the game and get used to how it works before they start playing for real money. Most online casinos offer new players bonuses to get them started; simply signing up to the casino can earn you a bonus of around $10, while many casinos offer huge bonuses of several hundred dollars or more in bonus money for completing tasks such as depositing certain amounts of money. Another key advantage of online casinos is that thanks to mobile gaming, you can play your favourite games anywhere and anytime you like while you’re out and about. You’re no longer just restricted to playing at home on a computer. A key negative aspect of online casinos is that the gambling experience they offer can be quite isolated. You’re essentially staring at a screen – something far less immersive than actually being physically present in a traditional casino. There’s no human interaction involved – unless, of course, you’re playing a live casino game. Another downside of online gambling is that it can be too accessible and convenient, especially for those who have problems with gambling addiction. Having access to hundreds of online casinos round-the-clock can make things worse for those addicted to gambling. However, most casinos do offer help, such as self-exclusion. However, it’s important that those with gambling addiction try to impose limits on themselves. This way, they don’t end up spending too much money. At online casinos you typically don’t receive your winnings straight away; it usually takes a couple of days for you to receive the money you’ve won. The amount of time it takes depend on the casino you’re playing at, where you live and what deposit/withdrawal method you’re using. Some casinos may charge for making withdrawals. Though most online casinos are extremely safe and reliable, there will always be the odd casino run by crooks. The best way to avoid dodgy sites is to only play at reputable casinos. These reputable casinos have an active gambling license from a regulatory authority. Evidence of a gambling license is usually displayed at the atto of a casino’s main page. The main positive aspect of traditional casinos is the real-world gambling experience they offer. There’s nothing else like stepping into a casino and experience the ambiance and atmosphere it has to offer. There’s excitement in the air and you can see and hear people all around you enjoying themselves and maybe even landing some big wins. Most casinos offer a good range of communal games, where players can join the table and play against others hoping to win. Playing a casino at a game with others, as opposed to playing by yourself at home, can make the game much more exciting and thrilling. Many games work much better when you play them in a real-world environment. Poker is a great example as playing it with others in a real-world environment makes spotting any bluffers just that little bit easier. A lot of traditional casinos are part of a resort complex and have lots of other leisure activities and amenities. Some might have bars and restaurants, while others may have things like swimming pools, gyms or even saunas nearby. Many people choose to make a vacation out of it and stay at hotels that have their own casinos or that have casinos nearby. 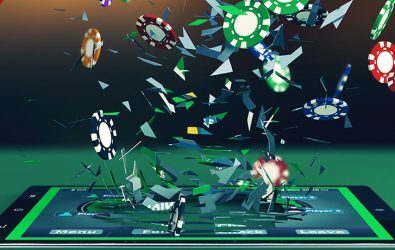 While traditional casinos have lots to offer in way of the real-life gambling experience, the key downside to them is the fact that you have to travel to get to them. That is, unless you happen to live right beside one. Not only can it be costly getting to and from a casino, it can also take up a lot of time, depending on how far away from it you live. Then there’s all the other things that eat into your budget. For example, there’s food, drink and a hotel stay if you’re planning on making it a short trip away. Some people dislike traditional casinos because of the fact that there are other people; they prefer to do their gambling in peace, away from the noise and the crowds of people. So which of the two is the better type of casino? It’s all a matter of personal preference. The best thing to do is to give both a try to see which one suits you better. You never know, you might find both of them equally appealing.